I am writing about protein today, which is not a new topic, especially for vegetarians. However, it seems to be a hot topic these days. Starbucks is adding it to their cans of coffee, General Mills is adding it to cereal, and protein powders continue to be (falsely) viewed as a required food group for anyone trying to lose weight or be fit. In reality, most Americans eat plenty of protein without trying too hard or relying on protein-fortified foods or supplements. I could make a compelling argument for why most of us don’t need to worry about beefing up plates with more protein, but luckily dietitian Hope Warsaw has already done it quite handily here. 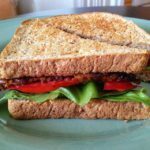 Instead I thought I’d do a Q&A format with some common questions I hear about vegetarians and protein, including some practical tips for daily food choices. Q: Is it harder for vegetarians to get enough protein? A: I actually don’t think it is harder for vegetarians, though that’s definitely the perception. Most people associate protein with meat, so if that food is removed from the diet the assumption is that the foods that are left can’t pick up the slack. Luckily for the plant-minded among us, that’s not the case. 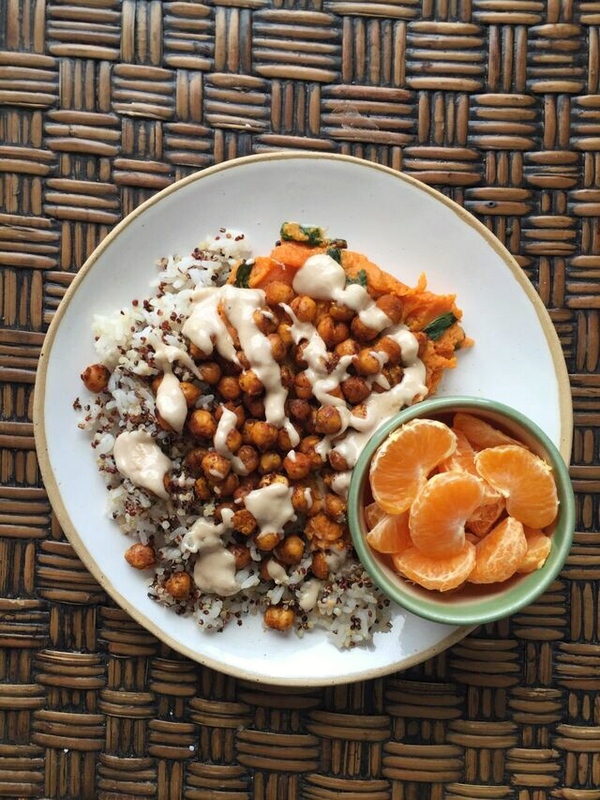 Tandoori Chickpea Stuffed Sweet Potatoes with Tahini Lime Drizzle from the Full Helping, served over a mix of quinoa and rice. Plenty of protein and no meat in sight. Q: OK. How much of the stuff do I actually need? A: The RDA, or Recommended Daily Allowance, suggests 46 g a day for women and 56 g a day for men. Some professional groups recommend a slightly higher intake for vegetarians because of differences in protein digestibility, however it’s mostly aimed at those folks choosing exclusively plant foods, like vegans. So, that would bump their targets to 58 g for women and 70 g for men. If you include cheese or eggs in your diet, the standard RDA is dandy. Q: What are some easy go-to proteins I can keep on hand? 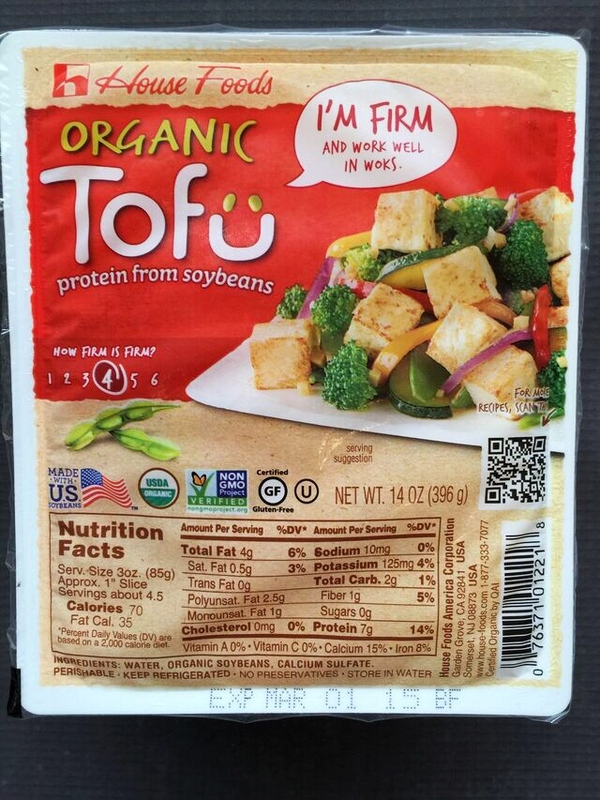 A: My preferred sources of protein are garbanzo beans, tofu, edamame, lentils, soymilk, peanut butter, and cheese. Q: How can I make sure I’m getting protein in every meal? Try thinking through every meal and looking for opportunities to incorporate some of the heavy hitters of the plant world. Hemp and chia seeds can get tossed in smoothies. Nut butters are a natural addition to whole grain toast or waffles. A soy sausage patty and an ounce of cheese can fill a whole grain English muffin for an easy breakfast sandwich with a hearty 22 g of protein. 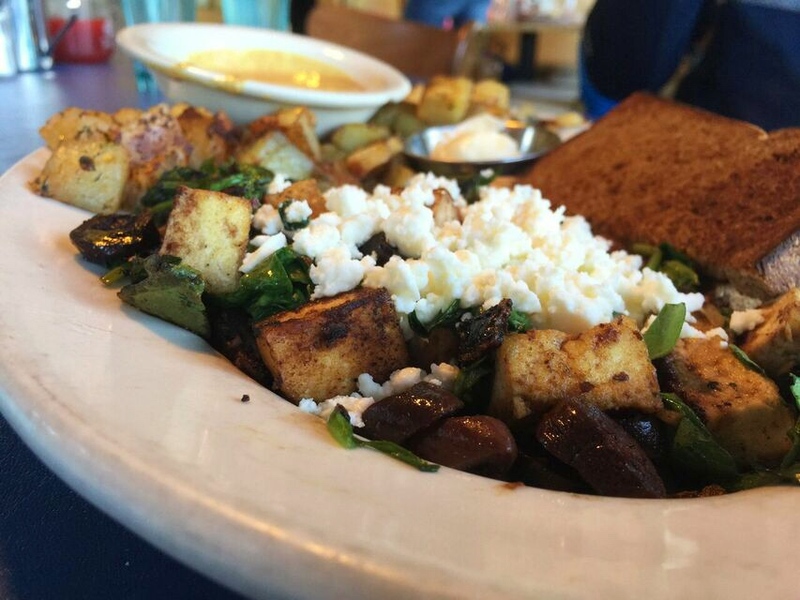 A tofu scramble can be a great base for veggies, like greens, and maybe even a little cheese. Whole grains and nuts are the foundation for tasty homemade granola bars. Tamari-flavored almonds are a favorite around our house, alone or with a handful of dried fruit. Purchased or homemade trail mix can make for a portable bit of protein. 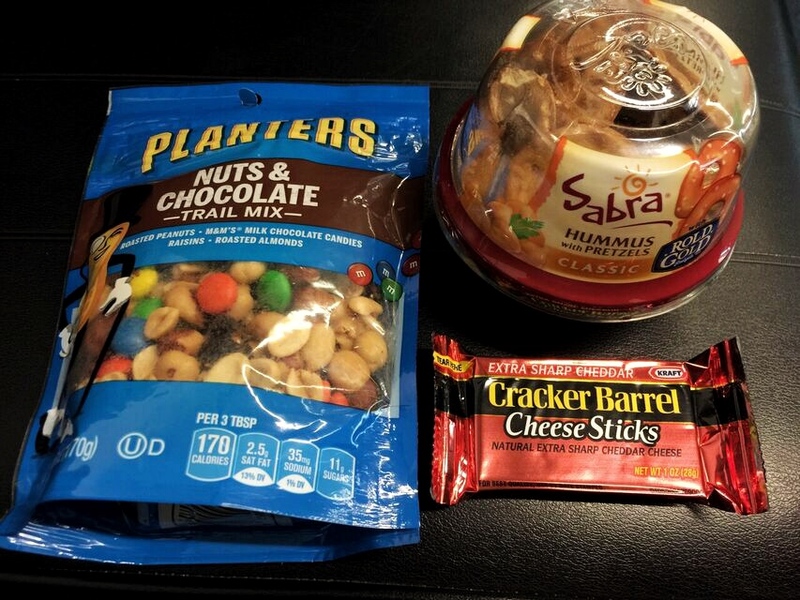 A somewhat recent collection of proteiny snacks I picked up at the airport gift shop. Hummus, nuts, and cheese kept me satisfied on the plane. Shelled edamame can easily go into any vegetable soup, and I also like them chilled on salad. 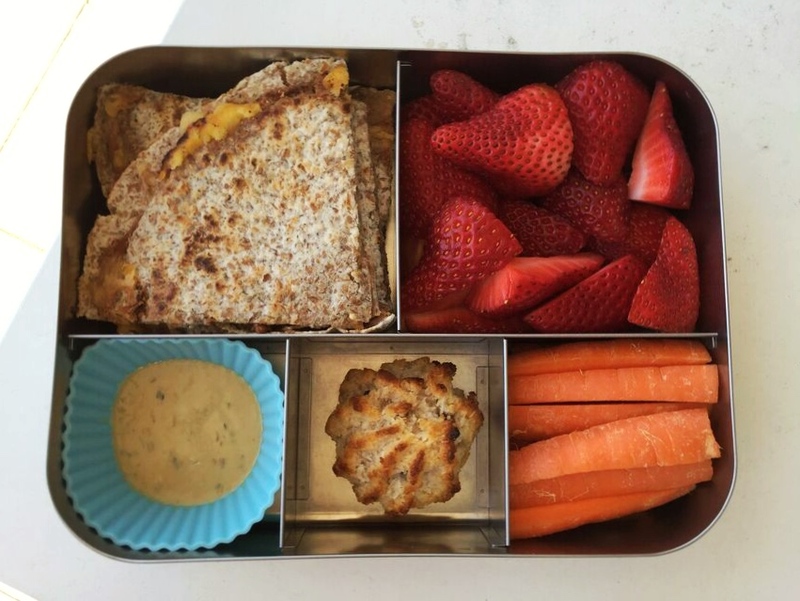 I also sometimes use leftover protein from dinner in my bento lunchbox, like cooked cubes of seasoned tofu eaten cold with peanut sauce for dipping. Nearly everybody likes a pb&j sandwich, even non-veg heads. Refried beans and cheese make a quick quesadilla. They even travel well, cold, in a bento lunch box. Strips of tempeh make an easy substitute for meat in fajitas. For taco salads I saute canned black beans and crumbled tofu with taco seasoning instead of hamburger. We usually think of eating lentils hot, like in a lentil soup or dal. But I’ve gotten in the habit of eating them cold or at room temperature as a base for a salad. With a collection of reliable tofu recipes you can just add a grain and a vegetable for a well-rounded plate. Q: What if I’m new to vegetarianism and not used to some of these foods? A: Try converting one of your favorite recipes to meatless so you’ll be on familiar footing. 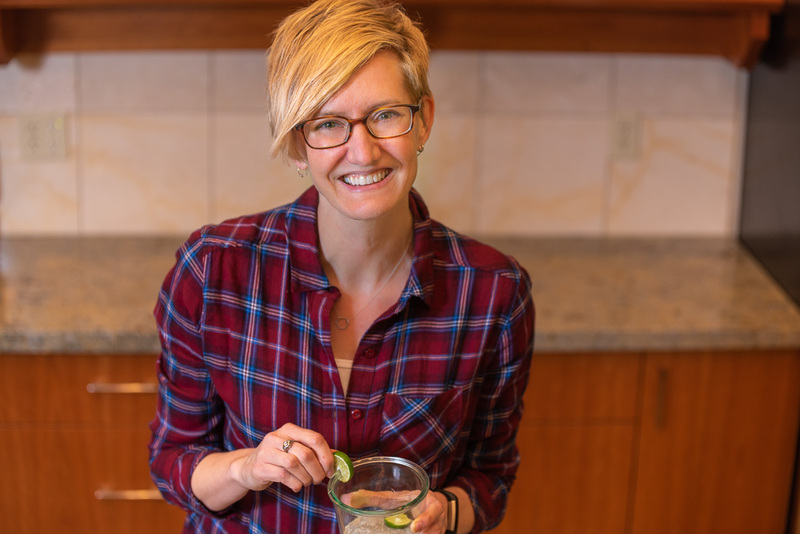 Could you use crumbled tofu or tempeh in your favorite stew or chili instead of beef? Could you add cashews or hemp seed to your favorite fruit smoothie without changing the flavor too much? 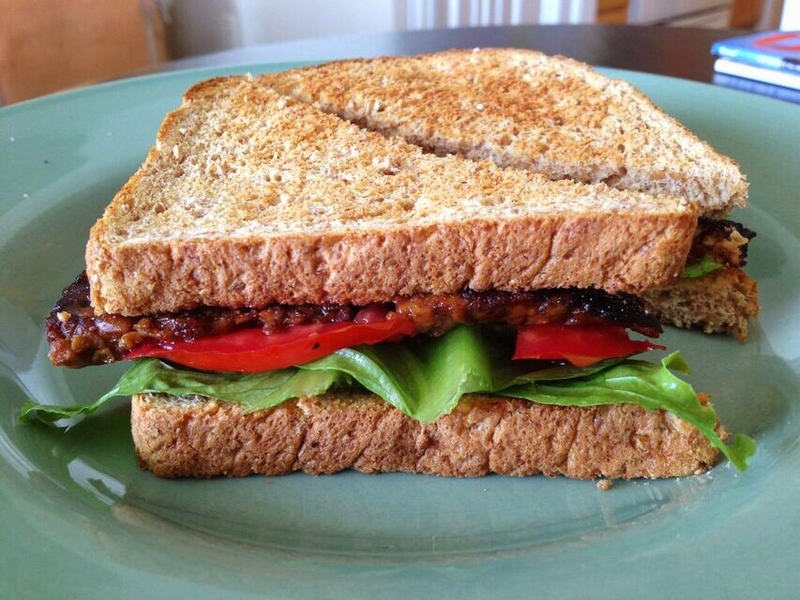 Could you make a BLT with one of the many bacon substitutes like seasoned tempeh? Could you sprinkle walnuts or white beans on top of your favorite pizza? 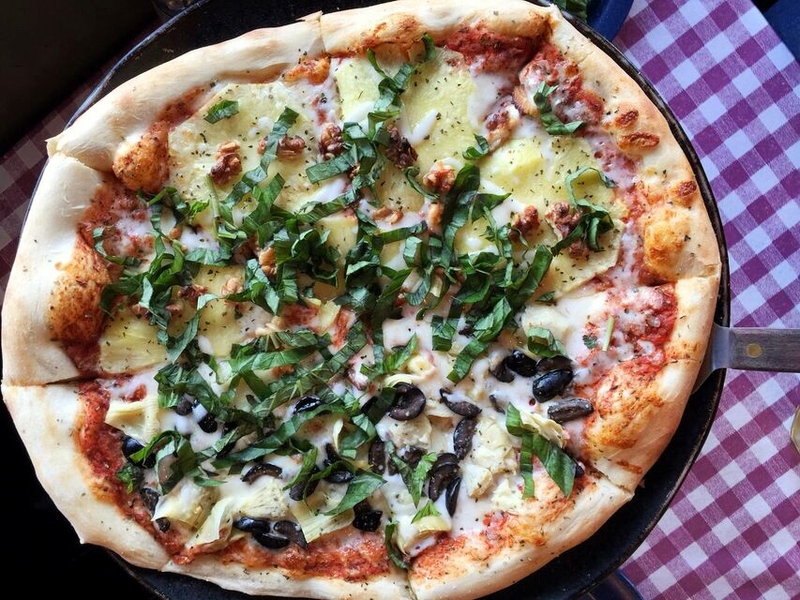 Can you spot the walnuts on this pineapple, basil, olive, and artichoke pizza? 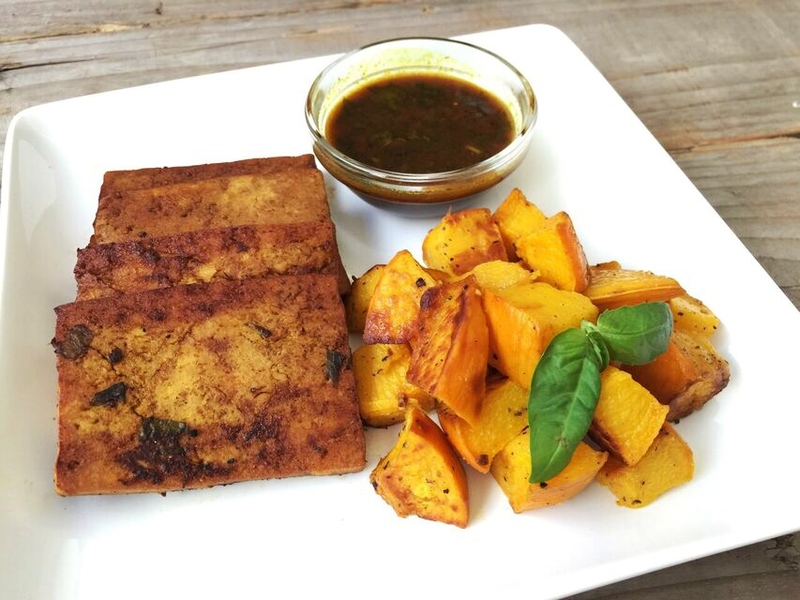 If this is all unfamiliar territory and you’d like to know what a vegetarian dinner might actually look like and you’re unsure about buying tofu, for example, and cooking it successfully, consider trying one of the dinner kit delivery services to introduce you to a week’s worth of vegetarian meals. Someone else does all the meal planning, recipe testing, and shopping for you. 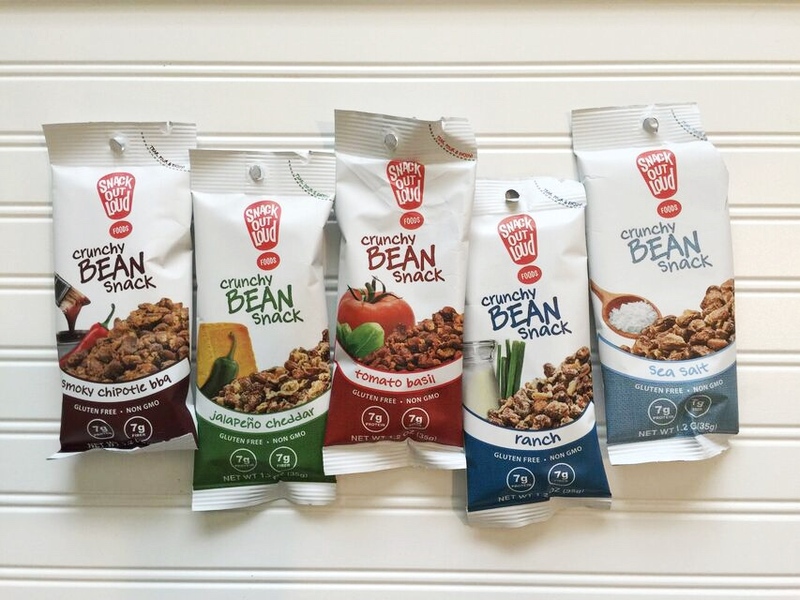 Nearly all of the services have vegetarian options now, and one company is exclusively vegan. Opportunities for pounding down the protein abound. Protein is lurking in every corner of your kitchen and sneaking into every meal, or at least it will be if you try some of these suggestions. Just like with folks following an omnivorous diet, everyone needs to know what food groups to choose to build a balanced collection of daily meals. Vegetarians can easily do the same, just with slightly different groups. The good news is there are lots of tasty options to try from morning ’till night. OK. I’ll ask it. The question vegetarians dread: where are you getting your protein? I’m curious what you rely on week to week to put protein in your plant-based mouth. Interesting and informative blog. This will be a good reference for those looking for more vegetable sources. Love your last question. As a non-vegetarian I will enjoy seeing the reply. Hi Linda. Thanks for your sharing your thoughts on the post! I want to eat all the things! Especially those tandoori chickpeas. I pretty much eat all the things mentioned in the article with the exception of tempeh. No matter how hard I try, I just don’t like it! I’m especially into curried lentils lately, over rice or just on their own as dal. And anything with coconut milk in it. Hi Hilde. Luckily there are plenty of protein choices for you, without ever making friends with tempeh. I agree. As we roll into fall, any kind of lentil dish hits the spot.